Backed by centuries of Asian herbalist use and solid scientific research, supplemental medicinal use of mushrooms is gaining tremendous popularity. Medicinal mushrooms help restore the competency of the immune system and improve the outcome for people with a variety of serious illnesses including cancer, hepatitis, liver sclerosis and other conditions where effective non-toxic treatment options are limited. 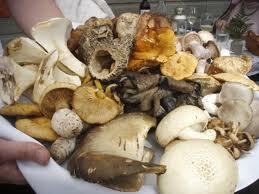 The most common medicinal mushrooms include Maitake, Reishi, Shiitake, Coriolos and Cordyceps. A lesser known varietal, Hericium erinaceus, commonly known as Lion’s Mane, is showing to be very helpful with neurological disorders due to its apparent capacity to help promote myelin sheath growth in the brain. This holds great promise for use in degenerative neurological disorders from Multiple Sclerosis to Alzheimer’s. High quality mushroom extracts can greatly help improve immune system function. Caution is advised since most mushroom extracts in the marketplace may not have the potency and careful manufacturing characteristics of the extracts used by experienced herbalists and in most clinical studies where the results of use have been excellent. In determining quality, manufacturing methods are critical to achieving potencies with medicinal benefit. Hot water extraction seems to be the most effective method. Then taking correct dosage levels for sufficient time periods impacts benefits. Mushrooms are fungi. Fungi are essential to a sustainable world. They are a critical component to the proper decay and recycling of matter into nutrients that feed animals and plants. While the fruit of mushrooms – the part we see that grows above ground – does not grow year round, the “mycelium” that connects the webs of mushrooms underground grows year round. It is the chemical processes within the mycelium releasing special polysaccharides (including beta-glucans, long chain complex molecules, far more complex than plant molecules). Unlike plant based molecules, which provide the molecular blueprints for 80% of pharmaceutical drugs, it is very difficult to produce synthetically the complex polysaccharides of mushrooms. These complex mushroom molecules are referred to as long chain or macro molecules. Harvard researchers in the 1980s discovered the importance of these complex chains of molecules to the immune boosting properties of high quality mushroom extracts. Receptor sites of natural killer and other immune system cells respond favorably when stimulated by these complex molecules. While there are at least 700 edible mushroom varieties known, only 7 are commonly used for therapeutic purposes by herbalists and considered the most potent for boosting immune response to protect against disease and viruses. And as mentioned earlier, the method of extraction and concentration of the potent molecules in mushrooms is important to their absorption and benefit. Mushroom extracts increase the activity of natural killer cells in gynecological cancer patients undergoing chemotherapy (Ahn WS et al 2004). A Ganoderma lucidumpolysaccharide extract known as ganopoly (1800 mg, three times daily before meals for 12 weeks) boosted natural killer cell numbers in advanced-stage cancer patients (Gao Y et al 2003). 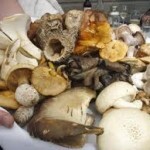 The anti-viral properties of certain mushroom varieties are amazing. In a randomized, double-blind, placebo-controlled study of 68 patients with advanced (stage III or IV) non-small cell lung cancer, polysaccharide peptides (PSP) isolated from the mushroom Coriolus versicolor (340 mg, three times daily for four weeks) significantly improved blood leukocyte and neutrophil counts, serum IgG and IgM, and percentage of body fat compared to the control group (Tsang KW et al 2003). In a case series of eight patients with various cancers (mostly stage II-IV), a combination of maitake mushroom (Grifola frondosa) MD-fraction and whole maitake powder resulted in a positive response in 23 of 36 cancer patients. Cancer regression or significant symptom improvement was observed in 69 percent of breast cancer patients, 63 percent of lung cancer patients, and 58 percent of liver cancer patients. The study found a less than 10 percent to 20 percent improvement in leukemia, stomach cancer, and brain cancer patients. In addition, when maitake was taken in addition to chemotherapy, immune-competent cell activities were enhanced 1.2 times to 1.4 times compared to chemotherapy alone (Kodama N et al 2002). Reference source: The Health Benefits of Medicinal Mushrooms, Mark Stengler, ND, 2005.